Immigration has been a hot topic lately for decades in the United States. It is, however, a common issue in Europe as well. 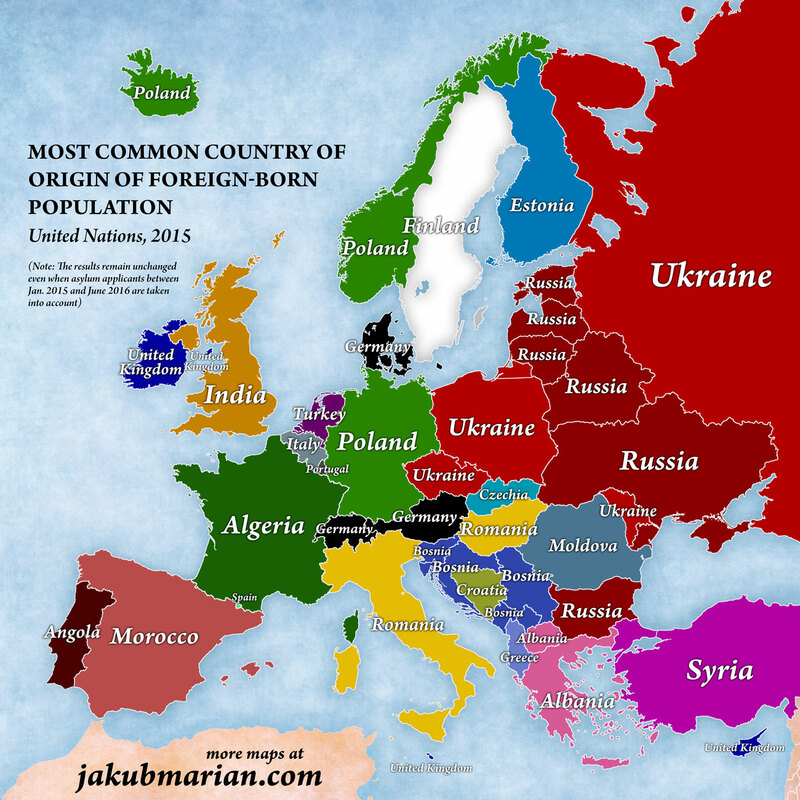 Map 189 shows the most common country of origin of foreign-born populations within each country in Europe as of 2015. It does not show what percentage of the overall population is represented by that immigrant group but that could have been a complicated and difficult-to-read map. Many of the countries of Europe are filled primarily with immigrants from other countries in Europe. The largest foreign-born population in Iceland, Germany, and Norway is Polish. Romanians, meanwhile, have spread to Italy and Hungary. Bosnians are the largest immigrant population in all of Bosnia’s neighboring countries, evidence of the Bosnian War in the early 1990s. War is also the likely cause of all the Ukrainians spread out throughout Europe. Russians are the top group in six countries (all of which are neighbors except Bulgaria) because they spread to neighboring areas within the Soviet Union during the seventy years of its existence. Non-Europeans are represented in this map as well. Indians are the largest foreign-born population in the United Kingdom while Syrians are the largest in Turkey. Moroccans and Angolans have flocked to Spain and Portugal respectively. This map was a good find so I also decided to share an older version. Unfortunately, I do not know what year the older version represents so it’s impossible to know how much time passed between the two maps (but I still like it). These maps were created by Jakub Marian,a man dedicated to learning, language, and maps! Since I’m using two of his maps here and another in the bonus map link below, I figured the least I could do is link to his financial support page in case anyone would like to donate. Hey, maybe I should get one of those fancy Patreon pages too! Map 190 features the life expectancy at birth for every region within Europe. It was featured on Reddit recently and I think it pairs nicely with Map 189 above. Looking at 189 it is abundantly clear that the people leaving Romania are making excellent decisions! The life expectancy in Romania is among the lowest in Europe while the places in which Romanians are the largest immigrant group are among the highest. Those that are leaving their home countries are making good decisions for their families in an effort to give them a better life. That is something to be respected, not derided like our current Commander-in-Chief here in the United States. [Note: The map uses data from 2014 while all figures below are from 2015]. Why exactly would the life expectancy be so high in Spain, Portugal, France, Switzerland and Italy? Could it be a climate that is warmer than the rest of the continent? Mountainous Switzerland certainly doesn’t fit that bill. Perhaps it’s because damn near everyone in Europe gets more vacation time than Americans. Could it be a more relaxed work day and slower pace of life? Hell, I don’t know what it is but I wouldn’t mind adopting whatever it is that’s working. The average life expectancy in the United States is 79.8 years, 42nd in the world. Switzerland is second in the world with an average life expectancy of 83.4 years. Spain is tied with Australia for fourth at 82.8 years. Italy is close behind at sixth with a life expectancy of 82.7 years (tied with Iceland). It’s only a difference of 3.6 years between Americans and the Swiss but that’s nothing to balk at. They’re doing something right!